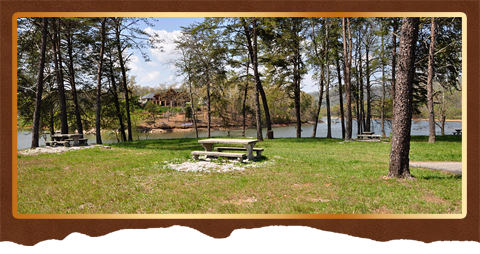 This picnic area is located along the far eastern shoreline of Lake Chatuge near the edge of the town of Hiawassee. It’s easily accessible and conveniently located next to US 76. The parking area is spacious and may seem crowded though the majority of the cars there are participating in a park and ride system where local residents meet other residents to carpool on their way to wherever they may be journeying, normally day trips.